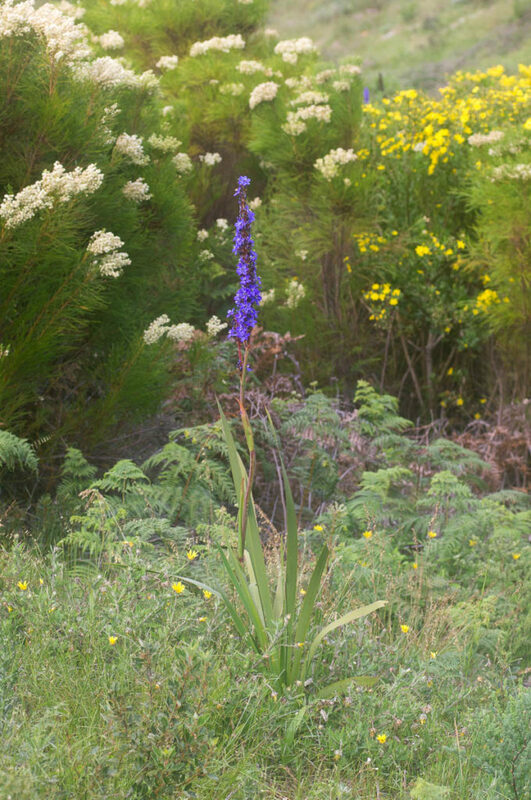 The Bloukanol, Aristea bakeri and Aristea capitata, are two plants that no-one can miss when the the flowers are open. 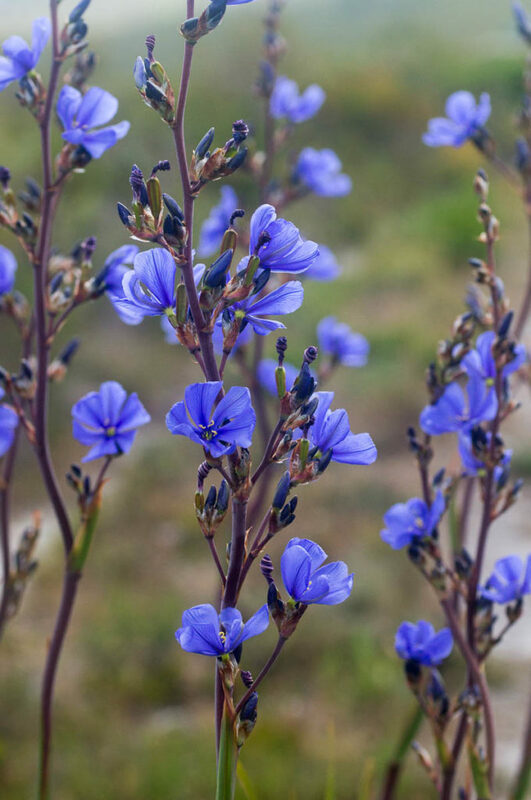 Standing proud of the fynbos, they produce tall spikes of large deep blue flowers. 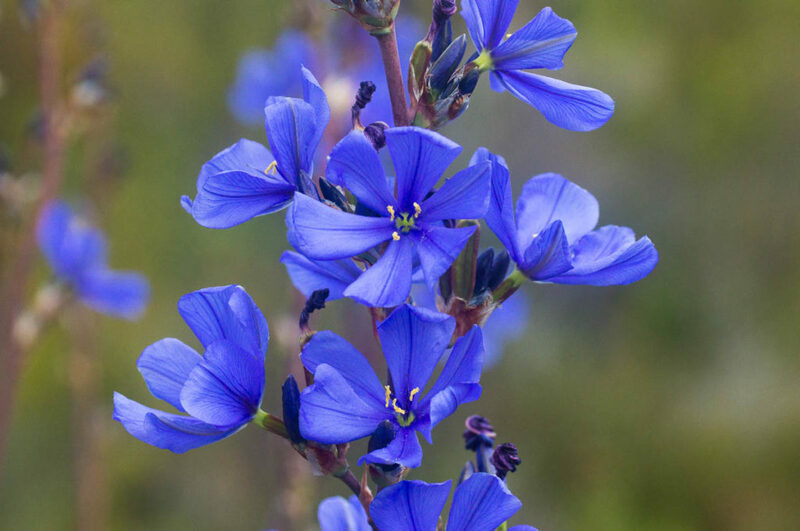 This has given them another common name, Blouvuurpyl or Blue Rocket. No other fynbos plant comes close in sharing a similar stature and colour. However, this glorious display is only during the morning. By afternoon, the day’s flowers have shrivelled up. Fortunately, there are many flowers on each plant and the morning spectacle is repeated for a couple of weeks during their flowering season. Of the two species, Aristea capitata is the more rocket like. It forms a tall narrow flowering spike up to 1.5m high and the flowers are tightly packed along the stem. Aristea bakeri is shorter and the flowering spike more clearly branches, forming a diffuse panicle. (Aristea capitata also branches but the branches are so short that it looks like the flowers come straight from the central spike.) The leaves of both species are very long, flat and rather floppy – without the inflorescence there is nothing to distinguish them. After flowering, the plants produce capsules with 3 broad wings. 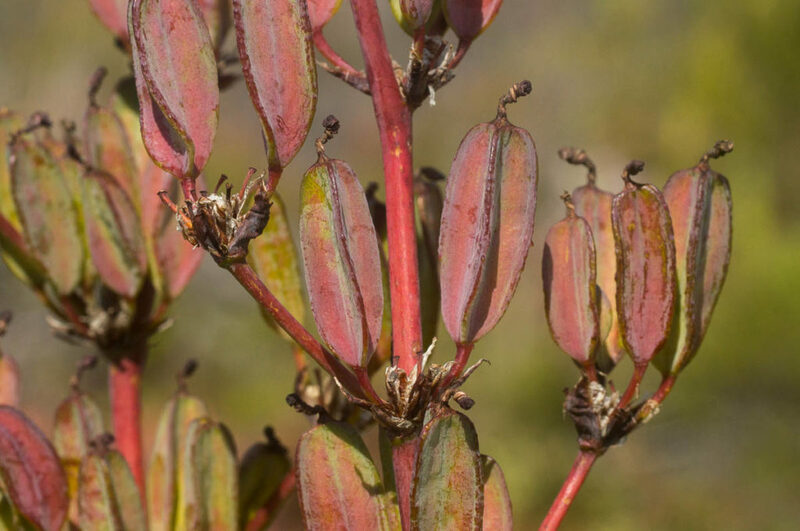 The new capsules have a reddish purple hew to them and on the broadly branching inflorescence of Aristea bakeri they are particularly ornamental giving the plants a longer season of interest. It is the capsules that provide an additional key difference between Aristea bakeri and Aristea capitata after the general shape of the inflorescence. In Aristea bakeri, the capsules are large and broad, usually between 14–28mm long 2–3x as long as wide. In Aristea capitata, the capsules are much shorter in comparison to their width, about 8–10mm long, <2x as long as wide. The two species also differ in their ecology. Aristea capitata is a plant of damper areas, with deep humus rich soil. It is often surrounded by tall fynbos, yet will still flower year on year in such situations. 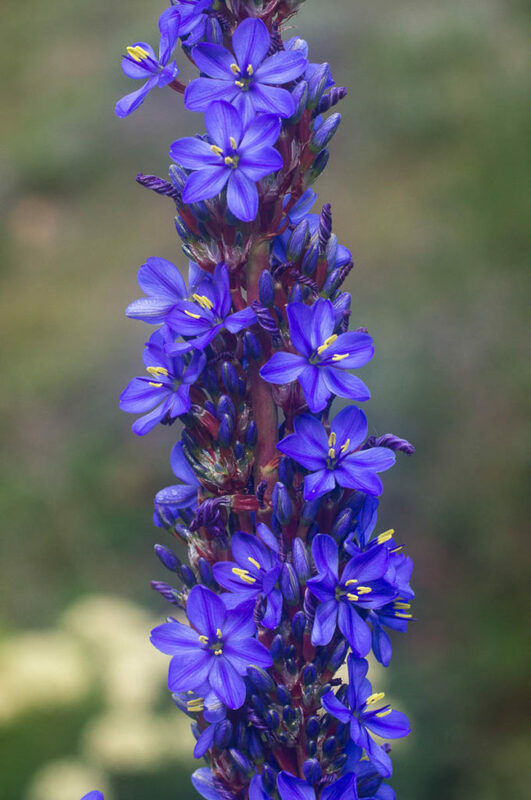 This makes it an excellent plant for the indigenous garden (where it has long been grown under the old names of Aristea major or Aristea thyrsiflora). Aristea bakeri on the other hand grows on drier rockier slopes. It rarely flowers except in the year or two after a fire when the foliage has been burned to the ground and the surrounding plants cleared. However, flowering can also be stimulated by cutting of the foliage to the ground. 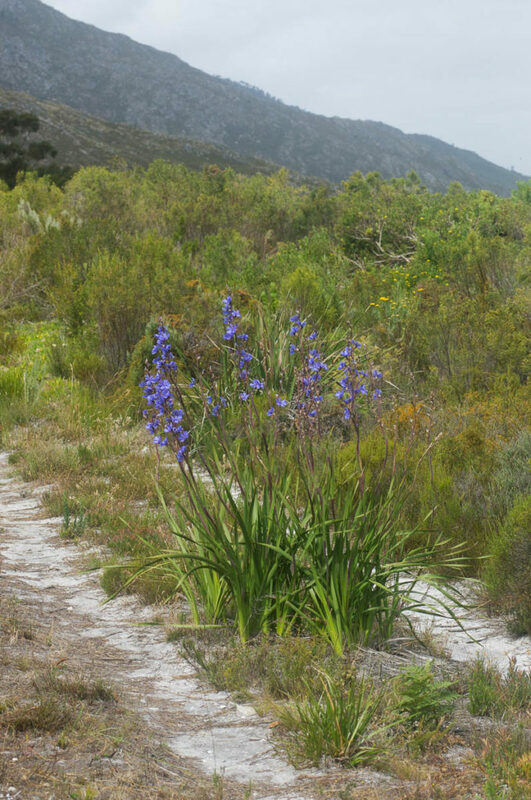 At Phillipskop it flowers regularly in the firebreaks, which are cut on an annual basis. Providing this is not done too frequently, it can therefore be stimulated into producing its spectacular display even in cultivation. Both species are easy to grow from seed, but can also be divided at base and replanted immediately. Aristea, Iridaceae, November, October, Spring. Bookmark.